Crystal clear sound and robust bass with up to 10 hours of battery life. The waterproof barrier can withstand full immersion in up to 1 meter of water for 30 minutes. Soundcore by Anker announces its newest ‘Motion Q Speaker’ that brings all-around sound paired with waterproof protection for an on-the-go experience. An IPX7 waterproof shell creates a barrier around the internal components, sealing them off from destructive liquids and potential damage. The waterproof barrier can withstand full immersion in up to 1 meter of water for 30 minutes. Motion Q’s back-to-back full-range drivers and dual passive radiators deliver music evenly around the room for a 360-degree sound. To produce depth and clarity, Motion Q utilises exclusive BassUp technology, which enhances your music's bass frequencies in real time via state-of-the-art neodymium drivers. Soundcore’s Anker heritage enables to combine a high-performance Li-ion battery with Anker’s advanced power management system. This pairing is engineered to optimise power consumption, allowing Motion Q to play for longer, up to 10 hours of non-stop listening from a single charge. The speaker also comes with an integrated microphone, so that you can switch between music and calls with ease. 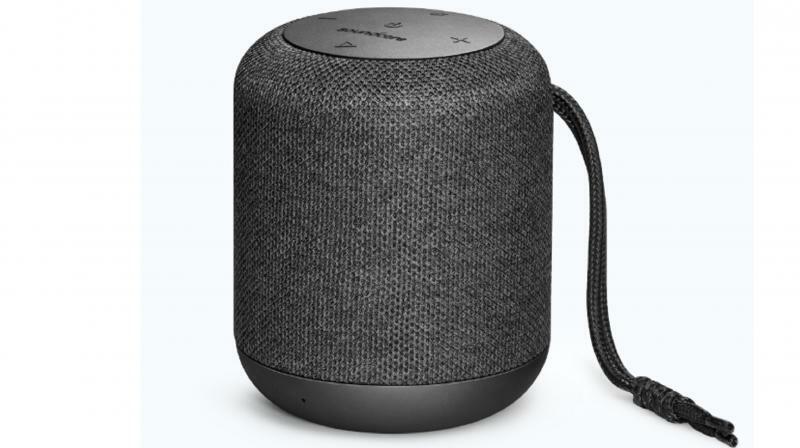 Motion Q’s total wireless pairing, instantly connects two Motion Q speakers together, doubling the size of the music or elevating movie experience with huge stereo sound. With a lightweight build and wrist strap, Motion Q can be hung, held or hooked on virtually anything, anywhere. Available in four colourful shades - Black, Blue, Red, and Grey, the product is already available with leading retail and e-commerce stores priced at Rs 5,499.